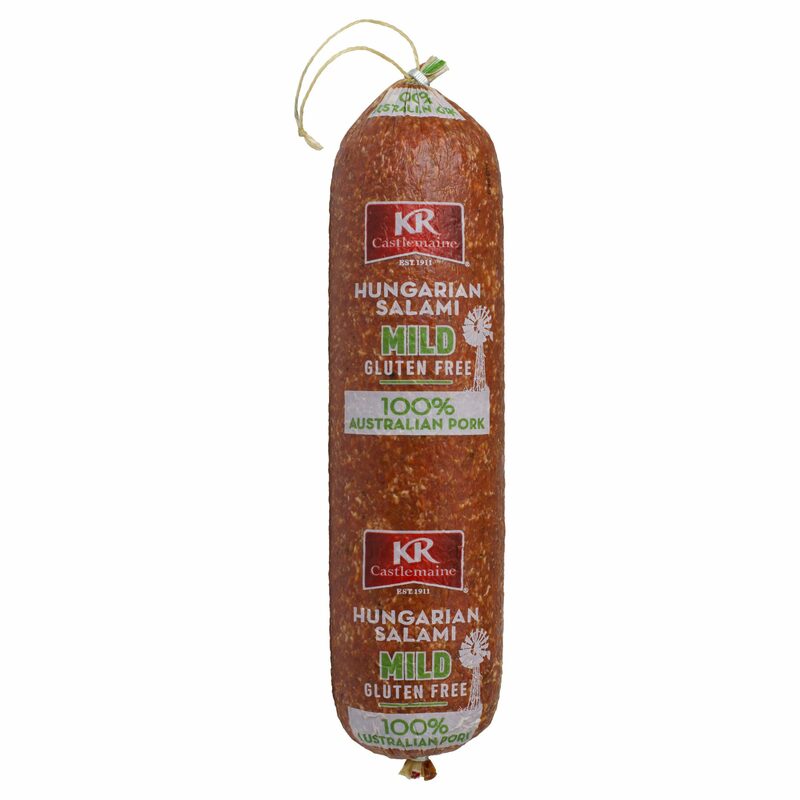 KR Castlemaine Mild Hungarian Salami is made with 100% Australian pork. It is fully fermented and matured with sustainable hardwood smoke for a full, authentic flavour. Meat Including Pork (91%), Salt, Potato Fibre, Sodium Caseinate (Milk), Spices And Spice Extract, Dextrose (Maize), Flavour, Sugar, Antioxidant (316), Fermented Rice, Sodium Nitrite (250), Sodium Nitrate (251), Dehydrated Vegetable, Starter Culture, Herb Extract. Smoked. Random Weight (~1.55kg x 2) x 2 M.A.